It's the perfect time of year to think about all of the things we are grateful for! 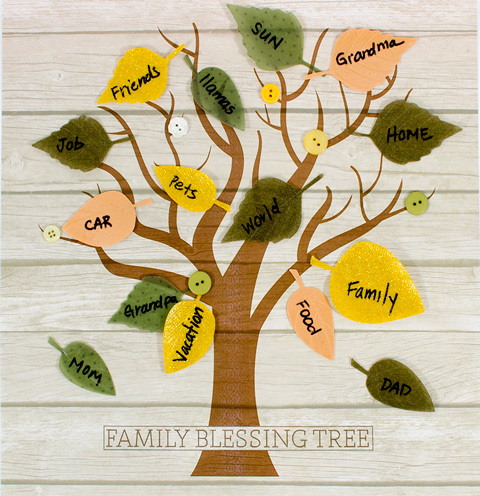 So, we decided to design this simple tree you can decorate with your blessings. 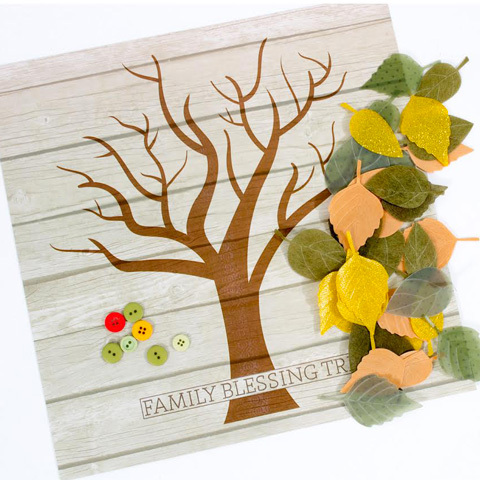 The kit includes the tree paper, buttons, and leaves. It's on sale for just $2 through Thursday! If you are a member of our FHE club, you got one in your kit this month. All you need is a permanent marker and adhesive to complete the tree. Write your blessings on the leaves and decorate to your hearts content. Then, hang it to remind you of the positive things in life. HOw do you order this? ?